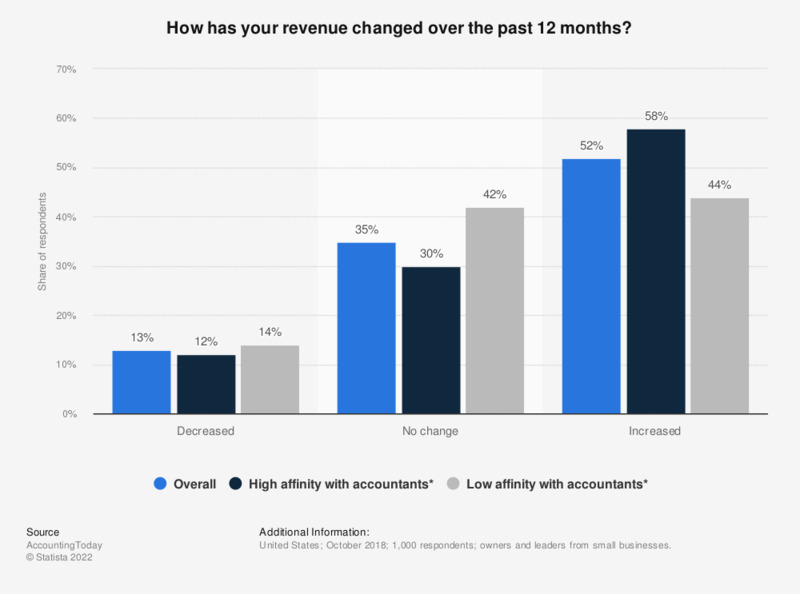 This statistic depicts the how revenue has changed over the last 12 months for small businesses in the United States as of October 2018, broken down by whether the business purchases services from an accountant. During the survey, 58 percent of respondents who buy services from an account reported an increase in revenue over the last 12 months. * Low affinity is defined by the source as businesses who have not bought services from an accountant in 2018, and high affinity as those who have.